Which district of Budapest is the best place to stay? Budapest is a great destination for a city break. 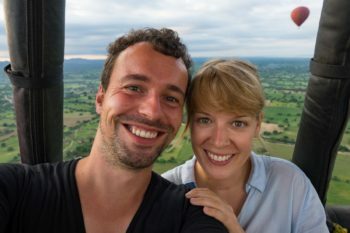 We spent two wonderful weeks there and simply loved the city. If you’re looking for a hotel in Budapest, we have good news: There are really wonderful accommodations in Budapest in every price category. To help you stay on top of things with the huge selection of hotels in Budapest, we’ve compiled a selection of where to stay in Budapest in this post. First off, we’ll tell you which districts of Budapest are the best places to stay. Then we’ll get straight to our hotel tips for Budapest, where we have places for you in all categories. You can use the table of contents to jump directly to the section of your choice. Budapest is roughly divided into the two districts of Buda and Pest, separated by the Danube. The Buda district features many of the famous sights of Budapest, such as Buda Palace and the Fisherman’s Bastion. Most of the thermal baths are also located in Buda. But all things considered, Buda is a rather quiet part of town. Most of the restaurants, the young crowd and many shops are located in the Pest district. It’s also home to many famous sights such as the Parliament, the Great Market Hall, and Heroes’ Square. 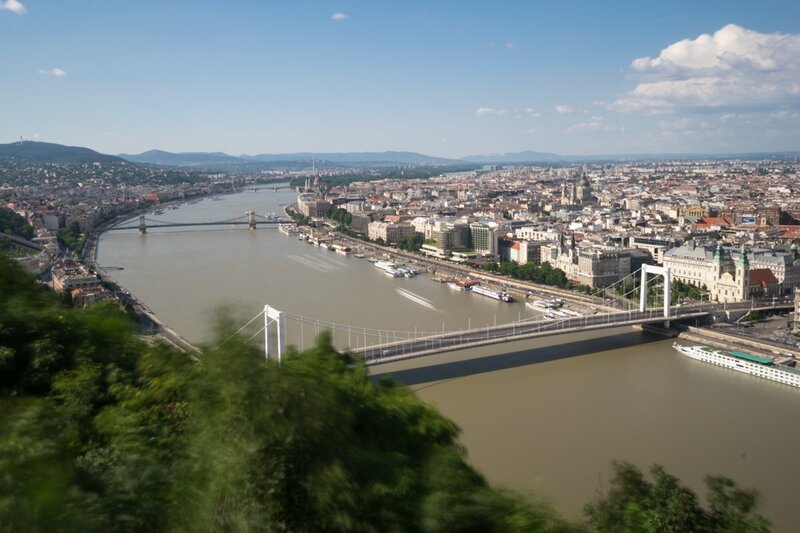 We prefer to stay on this side of the Danube in Budapest because it just feels more lively. Young people in particularly are drawn to the Jewish Quarter. Most of Budapest’s bars, clubs, and ruin bars are located here, so there’s a lot going on here, especially in the evenings. So if you’re looking for something a bit more laid-back, you should probably avoid the Jewish Quarter. Of course, we always tell you where each hotel is located and who the location is suitable for in our tips on where to stay. Budapest has a number of very traditional luxury hotels, many of which are housed in very representative buildings. Although these hotels aren’t cheap, you can often get a good bargain, especially in the off-season. 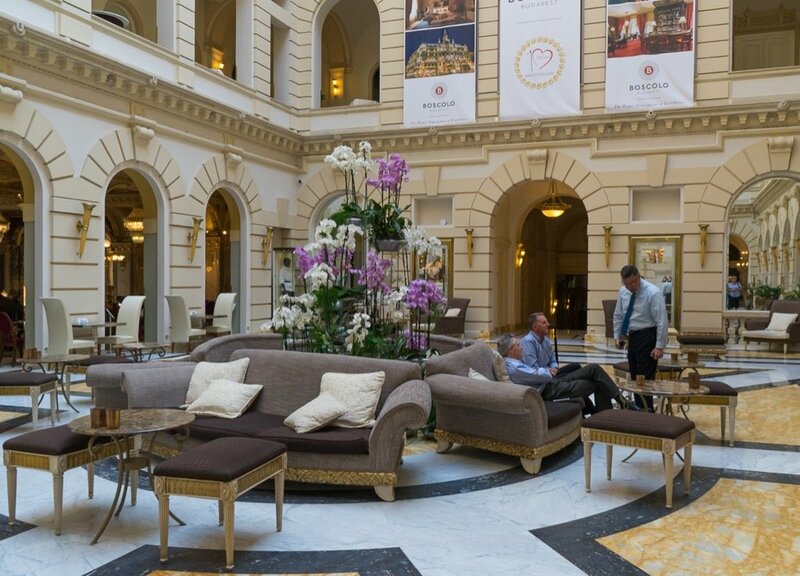 The Boscolo Budapest is one of the most traditional hotels in Budapest. The building with its magnificent courtyard is a landmark in its own right, and the hotel’s Café New York is one of the most famous coffee houses of the city. The hotel is located in the 7th district on the Pest side. The Jewish Quarter with its many bars and restaurants is just a few meters away, and a metro station is right in front of the door. The Four Seasons Hotel Gresham Palace was opened in 1906 and is also one of the traditional hotels in the city. The hotel is located on the Pest side of the city, directly by the Chain Bridge with a magnificent view of the Danube River and the palace. Of course, the very old traditional houses that have been accepting guests for over a hundred years aren’t the only places to stay in Budapest. There’s also a significant number of modern hotels with great designs. The Aria Hotel may not be one of the traditional houses that have already been around for over 100 years. But it’s often been praised as the best hotel in all of Budapest and has excellent reviews on all booking websites. The hotel is located on the city center on the Pest side and simply offers everything the luxury-lover’s heart desires: roof terrace, spa area, elegant design. The Hotel Moments is located in the hotel is located right in the city center on the Pest side. Many sights, shops, and restaurants are just around the corner. But the hotel is so chic that you hardly ever want to leave. This wonderful boutique hotel offers great value for money, even though it’s certainly not the cheapest hotel in Budapest. The Prestige Hotel Budapest is located in a painstakingly restored historical building right in the center of Pest. The location is perfect and the room decor ranges from stylish to ostentatious. The Hotel Palazzo Zichy is in a very good location: All the sights in Pest and the Jewish Quarter are within a few minutes walking distance. But the hotel still isn’t bang in the middle of the tourist bustle. As befits a Palazzo, the building is richly decorated and ornate. However, the hotel is very modern and stylishly furnished and provides a perfect bridge between tradition and modernity. Of course Budapest doesn’t just consist of luxury hotels that you have to dig really deep into your pocket to afford. There are also really nice boutique hotels, where you can get really great rooms for around 100 euros. 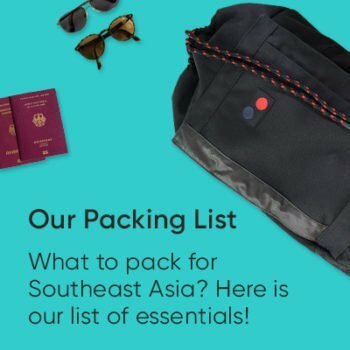 We’d like to present a small selection of these hotels to you here. 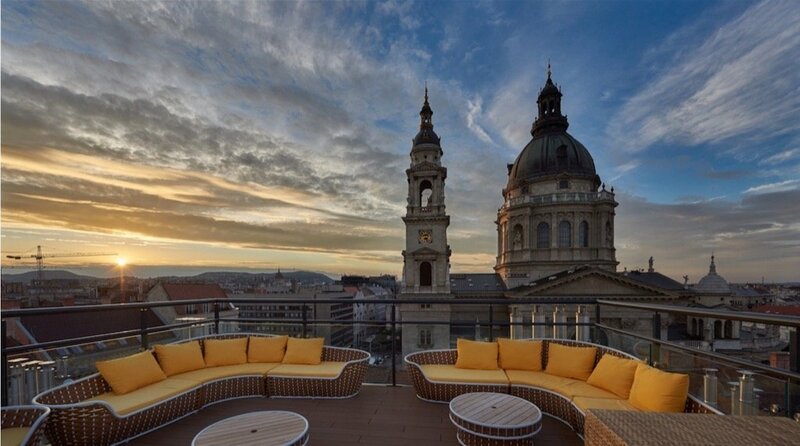 The Casati Budapest Hotel Superior is located in the center of Pest — a top location. In 2015, the hotel was named the best 3-star hotel in the city. The 25 rooms are furnished according to four themes and, subject to availability, you can even choose whether you want your room to have the classic, cool, nature, or sky theme. The Bohem Art Hotel truly lives up to its name because everything here is all about art. Huge works of art adorn the stylish rooms and give the hotel a very special appeal. The hotel is located on the lively Pest side and is only a stone’s throw away from the Danube. The hotel itself is a stylish and young hotel in the middle of the vibrant center of Pest. It’s only a 5-minute walk to the Great Market Hall, and several restaurants and bars are just around the corner. Each room had an individual and modern interior design. The Bo33 Family Hotel & Suites starts every morning with a breakfast buffet with champagne. Not too shabby. In addition, the hotel also has very tastefully furnished rooms and offers excellent value for money. The hotel is located in the up-and-coming 7th District, where we stayed too. The area isn’t as touristy, but pretty lively nonetheless. Just a few minutes walk, and you’re right in the beating heart of the Jewish Quarter, and the Keleti railway station is only a few meters away. Budapest also has a lot to offer for even the smallest budget. After all, the city and its lively scene also attract lots of young people. But when it comes to hostels, it’s always worth taking a closer look. That’s why we’ve compiled a few clean and pretty hostels for you. Most hostels with dorm accommodation also offer private rooms at affordable prices. 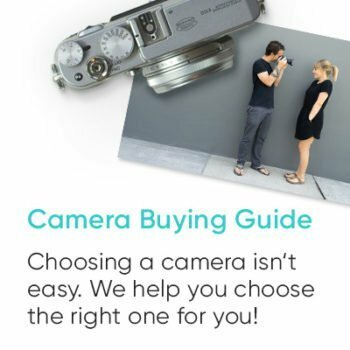 A hostel called Photography Hostel — the name alone is reason enough for us to to recommend it! But the Art Photography Hostel Budapest also really happens to be one of the best hostels in the city. There are private rooms and dorms with several beds. Its location is also excellent, and it only takes a few minutes to get to all the main sights in Pest. The Trapartment Hostel Budapest only has a few rooms and is has a very cozy atmosphere. It also has private rooms and dorm rooms, and the location close to the hip district is also excellent. In Pal’s Hostel and Apartments you can find rooms in all categories: From a shared room to your own room with shared facilities to so-called suites with a private bathroom. The decor is straight out of an IKEA catalog, and the location in the middle of the city center is excellent. The Best Choice Hostel is located directly on the main shopping street Váci Utca in the center of Pest. It also has a variety of room categories, making the hostel a great place to stay at a low price. If you’re looking for a very unusual place to stay in Budapest, then why not just sleep on a boat? There are two hotel boats moored In the Danube where you can stay the night. That’s definitely a different type of hotel. Spending the night on a boat on the Danube? Hey, why not? The Fortuna Boat is moored on the banks of the Danube near Margaret Island. So the boat’s location is very good. There are various room categories on board, and officially there are even two hotels on the boat: The Fortuna Boat Hotel with regular hotel rooms on the one hand and even the Fortuna Boat Hostel with more affordable dorm-style accommodation on the other. The Aquamarina Hotel is an even fancier affair. The hotel is located on a historic Russian paddle steamer. It’s moored on the Buda side, a few kilometers north of the city center. The hotel offers a regular shuttle service from the boat to the city center, so you can quickly get to the sights despite the somewhat out-of-the-way location. If you want to escape the hustle and bustle of Budapest, then this boat is a good choice. Budapest isn’t just a great destination for a city trip. Many people go to Budapest to relax. After all, Budapest is the largest spa town in Europe and is famous for its thermal baths. So of course there are also many hotels that have completely specialized on wellness guests. You can find a selection of the best wellness hotels here. The Danubius Grand Hotel Margitsziget is located on the beautiful Margaret Island in the middle of the Danube. The hotel was already built in 1873 and looks back on a long tradition. Right next door is the Danubius Health Spa Resort Margitsziget, whose spa and wellness area is one of the best that Budapest has to offer in the area. Both hotels are connected to one another via a heated underground passageway. So you can either stay directly at the spa hotel, or at the luxurious Grand Hotel where you can still use the spa area. The Danubius Hotel Gellért is probably the most famous spa hotel in Budapest. 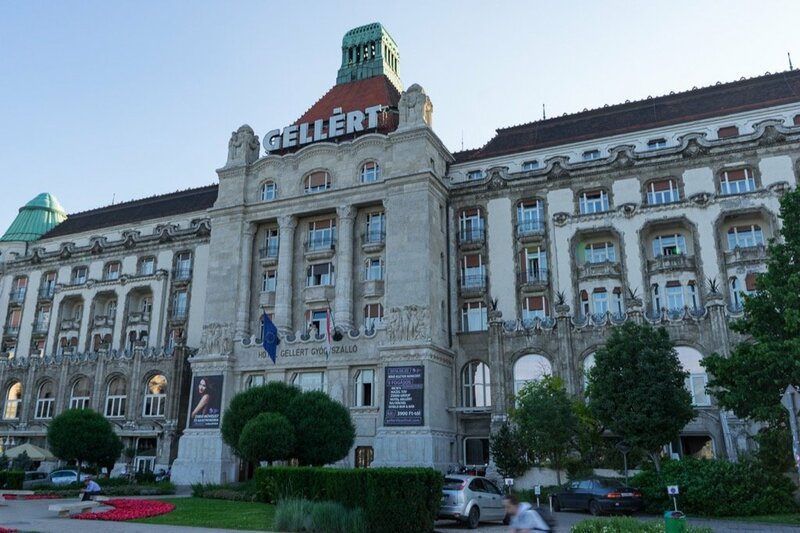 The hotel is located in the same building as the well-known Gellért-Bad. The hotel certainly isn’t an insider tip, but it’s a true classic. Alternatively, you can also stay in a vacation apartment in Budapest. We stayed in a very nice apartment in the 7th district. Especially if you plan to stay longer, it’s always nice to have your own kitchen and a bit more space than in a hotel room. We booked the apartment on AirBnB. Which is your favorite place to stay in Budapest? Where did you stay on your trip to Budapest? Do you have a Budapest hotel tip that needs to be added? Then we look forward to your comment!